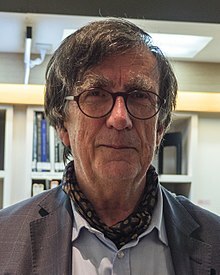 Bruno Latour (; French: [latuʁ]; born 22 June 1947) is a French philosopher, anthropologist and sociologist. He is especially known for his work in the field of science and technology studies (STS). After teaching at the École des Mines de Paris (Centre de Sociologie de l'Innovation) from 1982 to 2006, he became Professor at Sciences Po Paris (2006–2017), where he was the scientific director of the Sciences Po Medialab. He retired from several university activities in 2017. He was also a Centennial Professor at the London School of Economics.Latour is best known for his books We Have Never Been Modern (1991; English translation, 1993), Laboratory Life (with Steve Woolgar, 1979) and Science in Action (1987). If one looks at the works of Newton to Einstein, they were never scientists in the way modernity understands the term. The composition of a common world would be the definition of politics. India is a reservoir of alternative interpretations of what the global is, and these ways of viewing the world need to be exposed.